A guided writing activity. 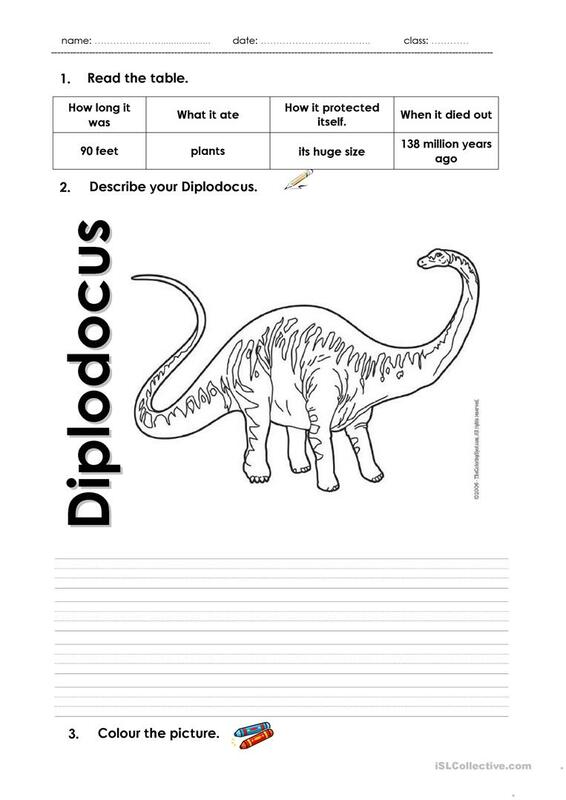 Students have to read a table on various information about a dinosaur, then expand them into full sentences forming a short paragraph. 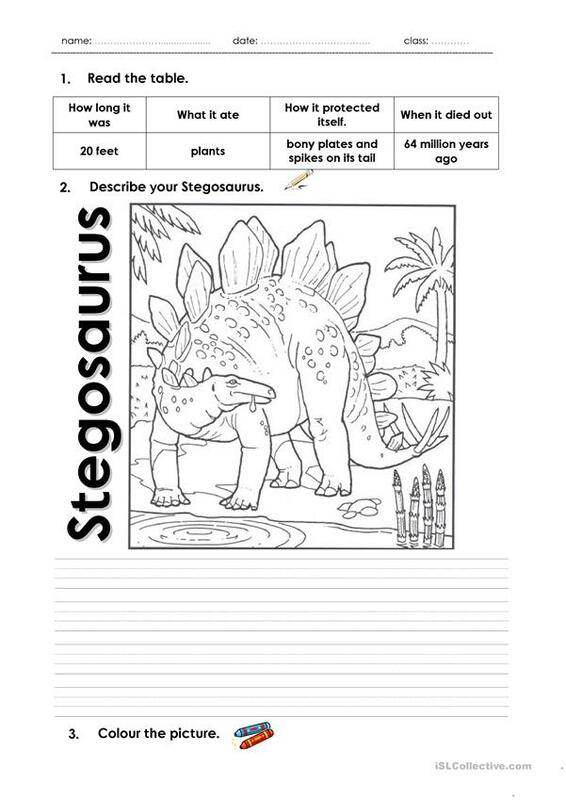 They can Colour their dinosaur at the end. 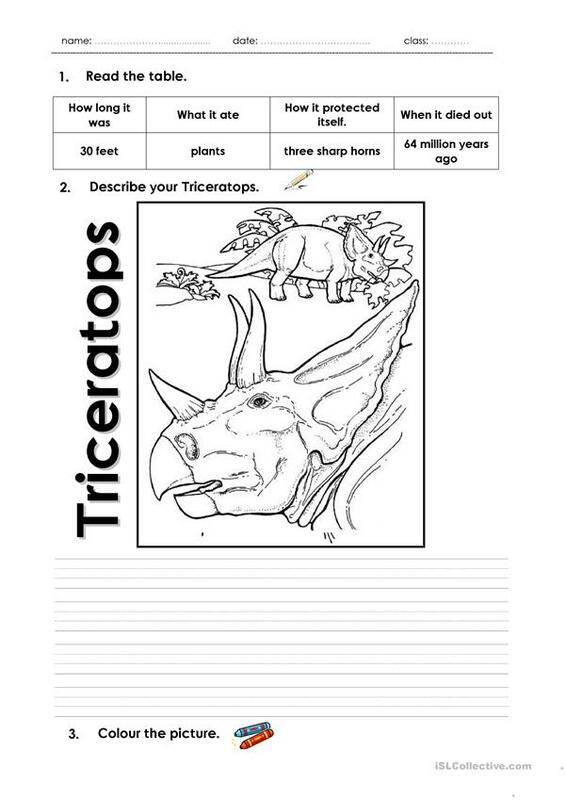 Three different dinosaurs are included. The present printable, downloadable handout is recommended for elementary school students at Elementary (A1) level. It is a valuable material for working on your class' Reading and Writing skills. It is about the topic and words of Animals.